this one did. Great facilites and hosts. 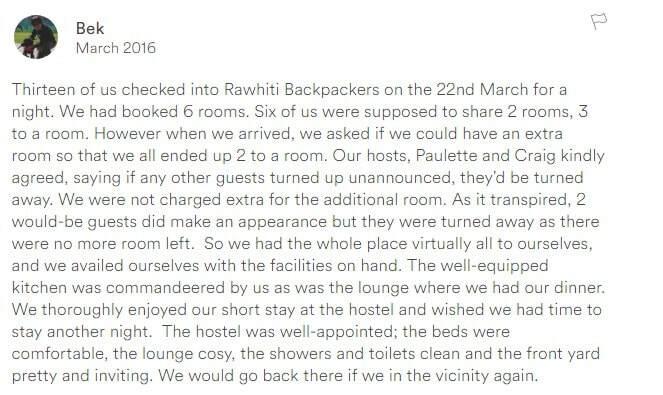 Rawhiti House offer lovely comfortable beds and a nice airy dorm room. 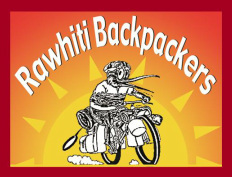 The backpackers is also spacious with a big size kitchen, separate large lounge and outside eating area. Definitely recommend if you want a restful comfortable experience. 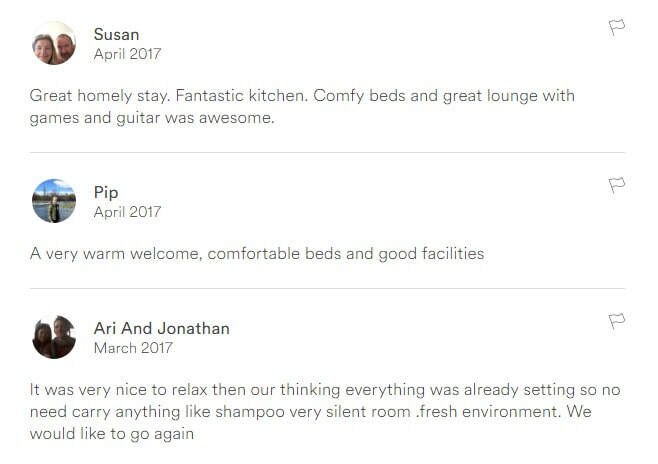 Really comfy beds, even with electric blankets, good showers, great common room. Very impressed. Just a shame about no free wifi, but that's fairly common in New Zealand. 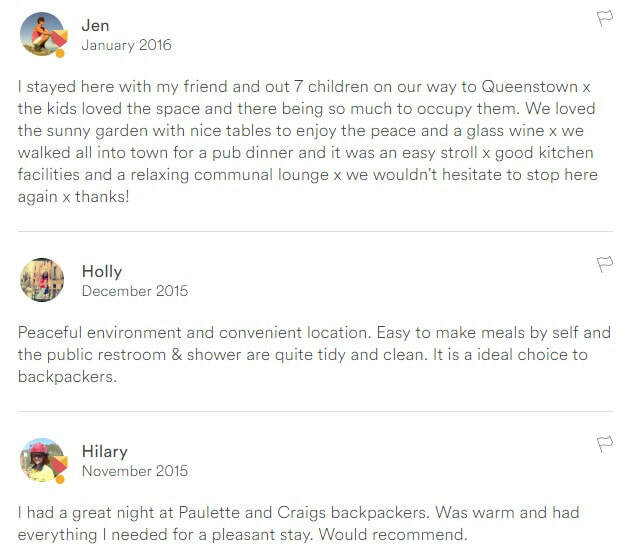 Comfortable, clean, warm, welcoming, electric blankets and friendly; I thoroughly recommend this backpackers if you're looking for cheaper accommodation that will exceed your expectations. 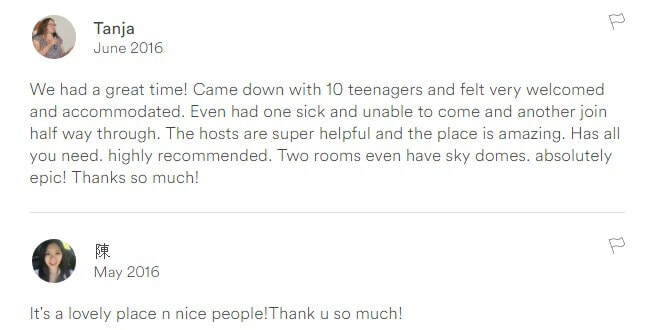 Lovely stay, very friendly and helpful staff. 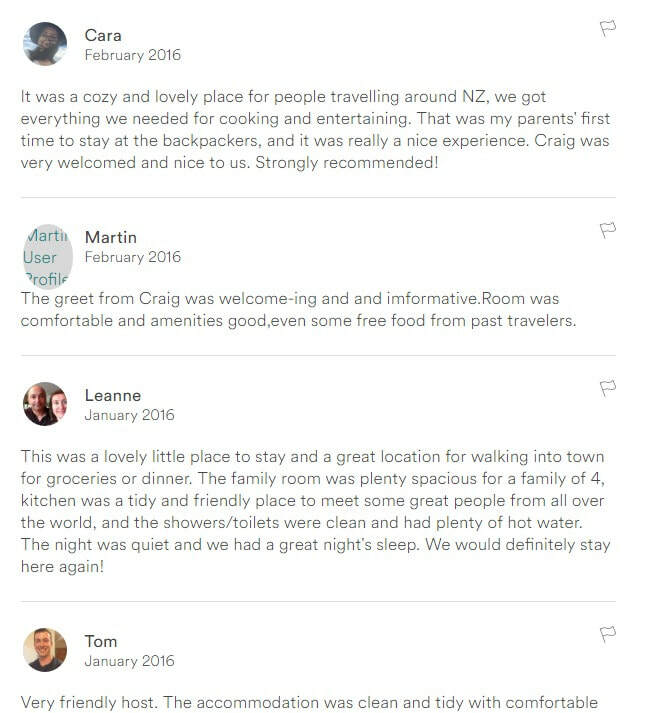 Very accommodating about our late return from tekapo too!. I had a nice stay. There was plenty of room, since there were only two other guests, so I had a room to myself. I loved the friendly atmosphere and the opportunity to exchange my read book for a “New“ one. Very nice place. I wish I had had a little more time to hang out there. Friendly greeting and tour of facilities upon arrival. Very quiet. Clean,spacious hostel and the owners are friendly and helpful. 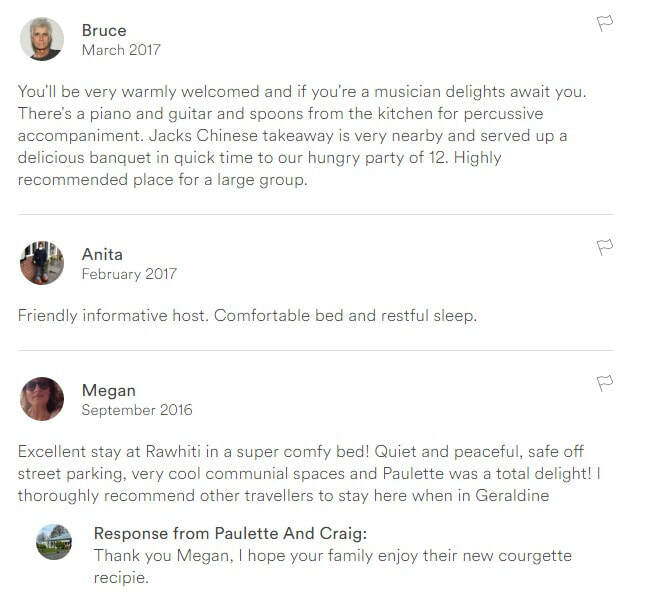 Geraldine is a quiet lovely place to stay, I wish I had spent more time there. area, comfy rooms and a relaxed vibe. Recommended. Lovely stay in a wonderful setting. Great facilities and good hosts. Will return.